Apple Cider is made by fermentation of apples. Not until Folk Medicine: A Vermont Doctor’s Guide to Good Health, written by D.C. Jarvis, M.D., was published in 1958 that the medicinal use of apple cider vinegar was known. Jarvis recommended apple cider vinegar as a cure-all. He said that mixing the apple cider vinegar with honey, a mixture he called “honegar,” enhanced the healing power of the vinegar. Jarvis also wrote that apple cider vinegar could destroy harmful bacteria in the digestive tract and recommended as a digestive tonic to be consumed with meals. 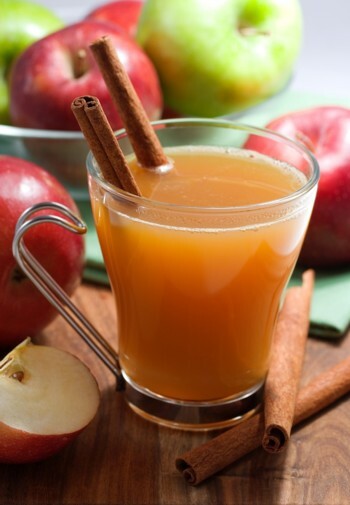 Apple cider is also known to have a favourable effect on blood sugar and helps lower glucose levels. Studies have shown that vinegar can lower the post-meal rise in glucose. The acetic acid in vinegar is thought to slow starch digestion and reduce the glycemic index of starchy foods. Views and comments are welcome. Nice blog you have here, some interesting tips and recipes. I didn't know all this -thanks for sharing! Thanks for your encouragement and comments. Will strive to give more interesting and useful topics.